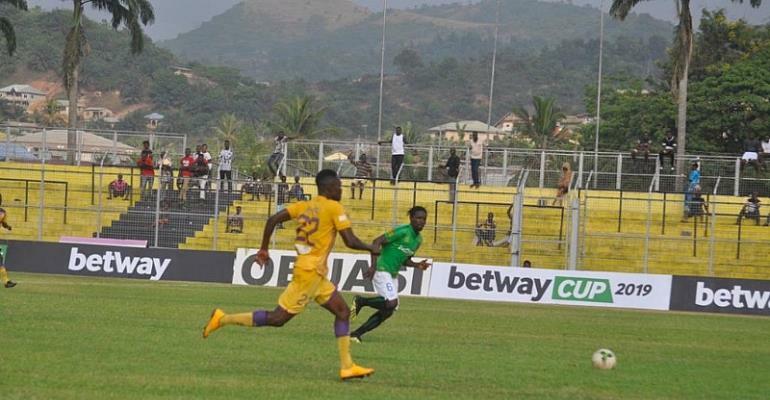 Dormaa is set to witness fireworks this weekend as two of Ghana’s Premier League giants – Aduana Stars and Obuasi Ashanti Gold – lock horns in Match Day-3 of the ongoing Ghana Football Association (GFA) Normalization Committee (NC) Special Competition. Despite enjoying an unbeaten run after two matches, AshGold will certainly not have it easy coming up against defending Ghana Premier League Champions, Aduana Stars at their own backyard. The mouthwatering encounter is expected to showcase high pressing football, strength, skills, pace, hard tackling and some goals on top of a charged stadium that will be cheering their various teams to victory. After beating Techiman Eleven Wonders 2-0 on the opening weekend and drawing goalless with Bechem United, the Obuasi based side find themselves top of Zone A of the Special Competition with a good advantage of advancing to the next phase. Aduana, on the other hand, sits 3rd on the log with one win and one defeat. They were beaten 1-0 by Kotoko before recovering to post a 2-1 win over Techiman Eleven Wonders. The big game will be played on Sunday, April 7, 2019, at the Nana Agyemang Badu I Park. Kickoff time has been confirmed to be 3:00pm.